I can sit for longer time periods without as much pain in the back of my legs.. Sitting watching TV. Stress relief from the spine. There's nothing that's not great about it. 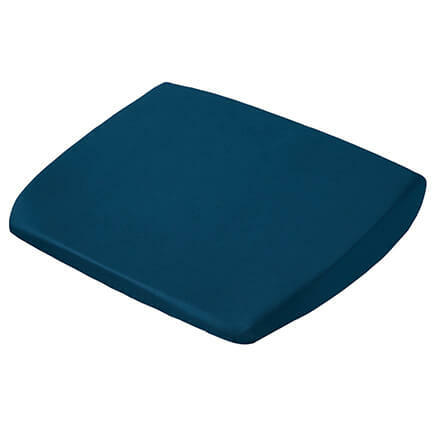 Thie pillow really provides comfort for long periods of sitting for my bottom. I had recent hemorrhoid surgery and am currently experiencing bladder difficulties, too. The pillow makes a great difference in my ability to sit withour discomfort. I work at the hospital front desk and my tailbone (injury from birth) gets so sore. Now I can sit all day without any pain and I love it. I had tried a donut but that wasn't as good, although I use my donut on my exercise bike now. Others at work say they want one. It keeps my tailbone from touching the chair and that works so well. Thank You! 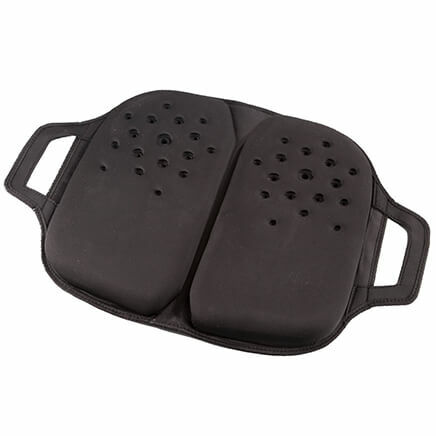 Has helped the lower back pain plus is comfortable. I have been using this cushion since my back surgery last month. It is extremely comfortable. I use it in the driver's set in my car for extra comfort. I use the product on hard surfaces and metal chairs. It allows me to use correct posture. I like it fine. I was expecting more of quality filler (not foam). But, the price was right. I use this to work at home on my computer. I can sit in one position for a long time and wanted something to help. This works only if I get up and move around about every 15 minutes--otherwise it compresses too much and is of little support. I use it in my lift chair, but I am a "big" girl and it is a little thin for me. Would be good for a pad on a smaller chair for someone more dainty. I have curvature of the spine. The cushion is fine when it us fluffed up. However, this takes quite a while. as expected. it does the job for which it was ordered for. I use it to sit on, of course. I needed something to take with me when I go out, here and there. I suffer with bad lower back pain. Siatic. Hugh disapointment. Makeing my husband sit on it, hopeing to get softer. He doesn't like it either. To much trouble, time to send it back, the post office has no pity when it comes to s/h I have had others, worse. Guess I'll keep it. it's too flat and doesn't have enough support. this cushion is terrible, no support, flimsy. I use the computer a lot and hoped this would help with my backache. It is way too flimsy and made poorly. I was better off using a sofa pillow. It was a real waste of money. It's just a piece of thin cheap foam rubber with a thin covering. My office chair seat is tilted forward, so I was looking for something higher at one end to offset the tilt. Unfortunately this "cushion" feels as hard as the Styrofoam that protects your electronics in the shipping box, and because it slides around, I cannot move the chair around my office while sitting on it. But I don't want to pay return postage, so I'll probably just donate it and hope someone likes it. If there was a zero stars option, I would have picked it. THIS PRODUCT HAS POTENTIAL. BUT IT IS WAY TOO THIN. THERE IS NOT SUPPORT AT ALL!! It looks like a comfy seat for when I'm sitting and working at my computer. I have back problems and this pillow helps. 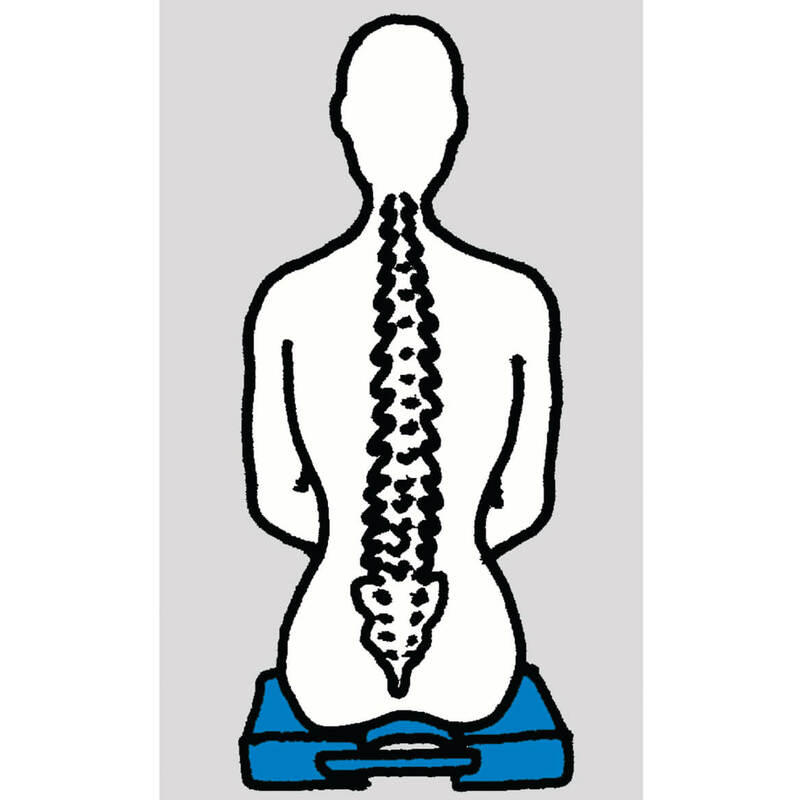 It keeps your tailbone aligned and it also helps with hip problems too. because im having pain in my tailbone area. 1 for my house & 1 for my car. Got it to use in the car for long distance trip. Hoping it relieves some pressure on my 90 year old mother's tailbone. Because I have a sore tailbone. I hope this helps. I sit at work all day. Design and practical functionality of item. Needed softer cushion whilst sitting, as I am underweight at age 82, and my bones poke through! 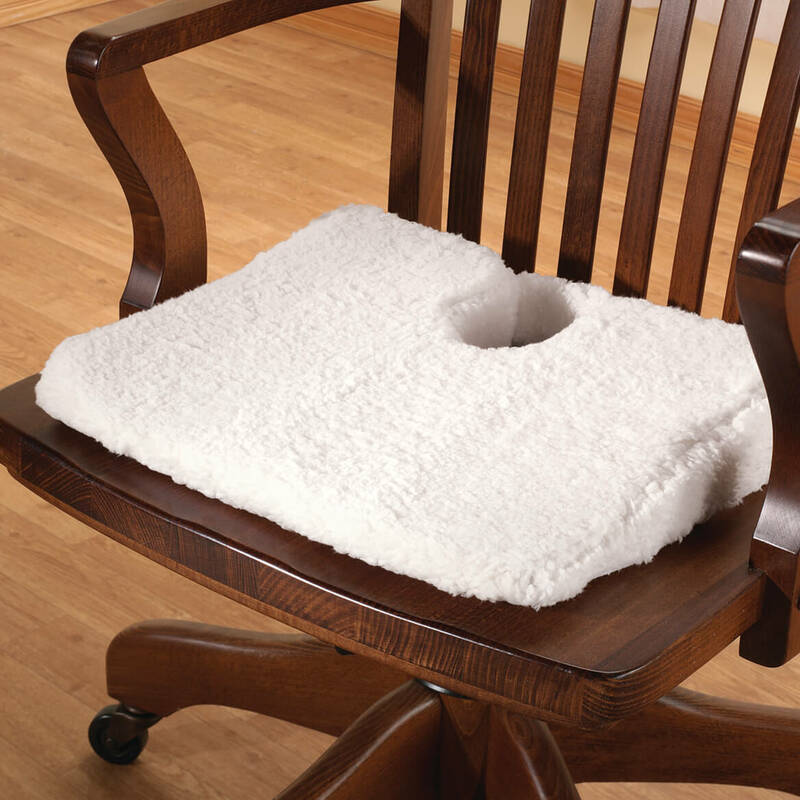 This cushion eases the pain of sitting quite beautifully. My husband had one like it and it work out and he needed another one. We have one that is not useable. Need to replace it. Having surgery soon and need to sit in a chair for lengthy amounts of time. Need something to cushion my tailbone. For sister who had neck surgery. Hoping it will help my 86 year old mom who says her tailbone hurts when she sits. I was supposed to save $5 when purchasing 2 or more but I was charged full price for both. I needed two-(one for work and one for home) because of my Sciatica. Had Recent Back Surgery, and need to use in care while driving. 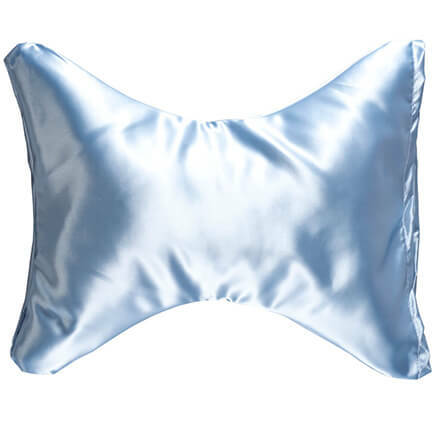 This is my second pillow; I use it in the car and makes driving easier and my back feel a whole lot better. I bought one awhile back and I really liked it. A bit firmer than most like it so it doesn't completely sink. 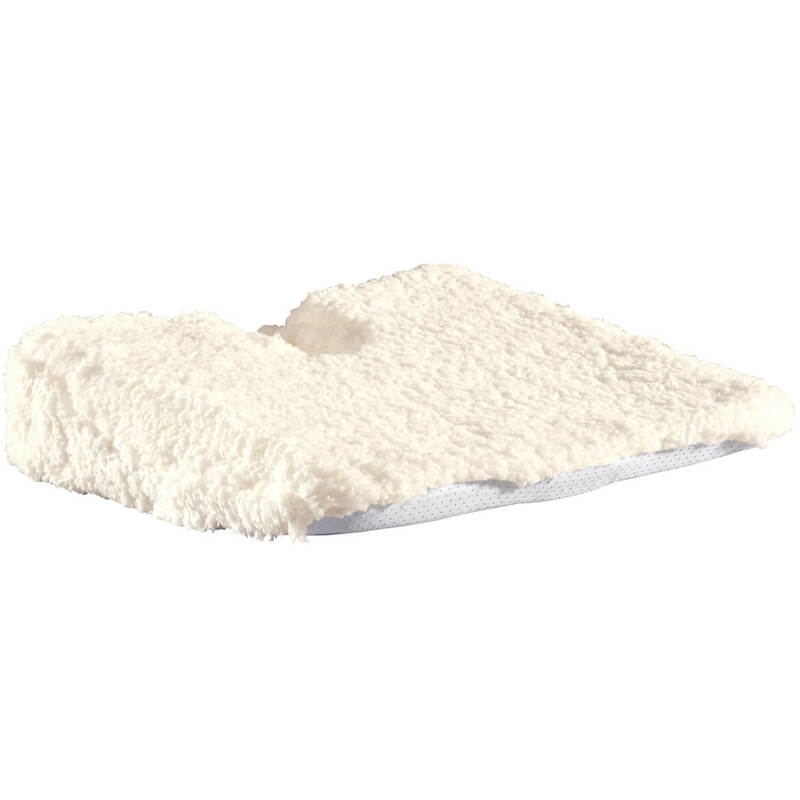 The sheepskin like cover helps stop chaffing too! Purchased this for my Sister who is in the nursing home in a wheelchair. Have lower lumbar issues. Can't sit for very long at one time before tailbone starts hurting. Hoping this will help. I need to have a more comfortable seating and not much pressure. "Have wound on tailbone that won't heal. 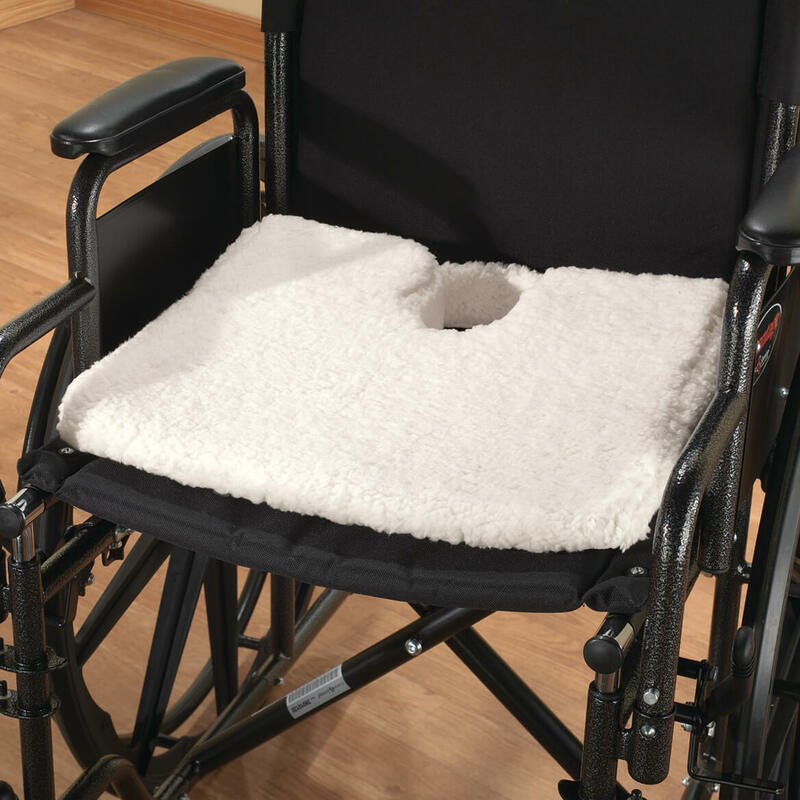 Dr. thought this might help"
Injured my tailbone & need a cushion like this. is what's under the cover a plastic wedge? BEST ANSWER: It is a Polyurethane foam. There is a little give in it bit it is not soft. So far I like it. I am using it at my computer desk. Is there a choice of color of cover? BEST ANSWER: Thank you for your question. 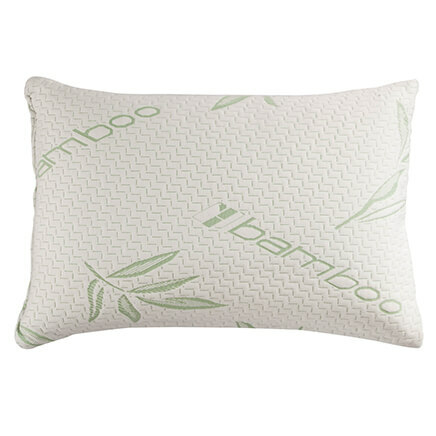 No, each cushion comes with the cover that it is pictured with in the color it is pictured. We hope this information will be of help to you. BEST ANSWER: Thank you for your question. 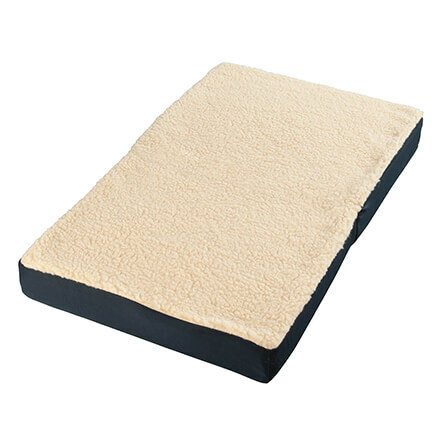 The Tailbone pillow memory foam has washable, removable polyester cover. We hope this is helpful! Yes, the cover is removable; it has a zipper in the front of the cushion.